David Manuel is a celebrated who’s who in Atlanta and for good reason. A graduate of the Atlanta College of Arts with a BFA in Advertising and Graphic Design. David has masterfully used his talent, network and expertise to bridge different cultures together using art as a vehicle. Manuel is a champion of the arts, a compassionate community activist and self-published author of I Am a Father and I Am a Mother books. Formerly the Director of Community Relations at the Woodruff Arts Center, David now serves as the Executive Director for the Porter Sanford Performing Arts Center and is the Interim Deputy Director of Recreation,Parks & Cultural Affairs of DeKalb County. There he brings a diverse range of programming to the region. His vision for the county is that it will be a place for cutting edge productions, beautiful parks and family friendly activities. Manuel oversees a dedicated staff and dozens of volunteers. He also sits on many boards and has partnered with companies such as Turner Broadcasting and HBO just to name a few. Mr. Manuel is the founder of the I Am a Father Initiative, Celebrating African-American Fathers. In 2008 he self-published the I Am a Father book to dispel the myths associated with absentee African-American fathers. In 2015 he created the first of its kind, I Am a Father 5k Run/Walk. In its second year, David has successfully galvanized other male focused development organizations to the common cause of strengthening families. In 2013 David won the Non-Profit Executive of the Year from Regions Financial Corporation; was selected as the 2014 Voice of Influence from CBS Radio, named Positively Georgia by CBS46 News in 2015, received the Community Service Award from LUMM (Let Us Make Man) and recognized by Life Link of America in the 2017 Organ Transplant Calendar. Personally speaking, while he spends most of his time strengthening families in urban communities with the I Am Initiative, David is a certified mentor for the Georgia Transplant Foundation. As a liver transplant recipient, he believes the way to show gratitude for having a second chance is by educating and registering others to become an organ donor, thereby giving the most precious gift ever, life . David resides in the Metro Atlanta area with his wife Karren and is the proud father of three college students, Branden, Blake and Kaitlyn. Ms. Manuel is the co-founder of The I Am a Father 5K, Inc., a nonprofit organization that focuses on Strengthening Families One Mile at a Time. Annually, the organization hosts a 5K event that draws close to 1,000 participants in only its second year of existence. In addition to that, she provides executive level concierge service to many nonprofits and small businesses in the Metro Atlanta area. Miguel is dedicated and committed to God, Family and the continuous strive to strengthening our communities through diversity efforts. Proud member of Masonic Lodge Admiration Lodge No. 25, board member of I Am A Father 5K, Inc which shares the same vision and commitment to making a difference by being impactful in people lives. Ga State graduate with multiple awards, countless community partners, personal and professional accomplishments that does compare to the most important thing and that’s being a FATHER FIRST. ​Nettie Jackson is a retired non-profit management professional. Nettie has worked the last thirty years addressing public and health policy, health disparities and non profit board and volunteer management. Recently retired from the American Heart Association she was the Director of Health Equity and Multicultural Initiatives for the Southeast Affiliate. Her expertise is health policy, board and event management. As an example, she was lead staff for the Georgia Smoke Free Law, the Georgia Automated Defibrillator Legislation and Stroke Designation for Georgia hospitals. One of her landmark projects was driving the installation of Automated External Defibrillators at Jackson-Hartsfield Airport. Nettie is a pioneer as she attended the University of Alabama in the late sixties. "This is where I really began to understand how policy could drive not just change but equity". Renecia is currently a Senior Examiner with the Federal Housing Finance Agency (FHFA). 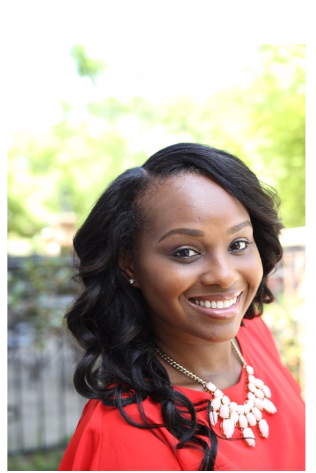 Prior to joining FHFA, Renecia was a Lending and Disbursement Analyst with the Federal Home Loan Bank of Atlanta. A native of Atlanta, Renecia is a graduate of Georgia State University, where she earned a Bachelor of Business Administration in Management. While serving in the United States Air Force, Renecia also earned an associate degree in criminal justice from the Community College of the Air Force. Additionally, Renecia holds a designation as an Accredited Mortgage Professional with the Mortgage Bankers Association and the Housing Development Finance Certification from the National Development Council. Monique T. Grier currently serves as the Director of Juvenile Detention for the Jefferson County Commission in Birmingham, Alabama. There she oversees the planning, directing, and coordinating of operations. Prior to joining Jefferson County she managed the Faith and Justice Unit for the Georgia Department of Community Supervision. As a member of the Reentry Services Section she established vital linkages to services, employers, and faith leaders. Prior to joining the Department of Community Supervision, she served the Department of Juvenile Justice as the Statewide Community Program Coordinator for Chaplaincy Services. Ms. Grier is also a member the National Organization of Black Law Enforcement Executives, and the Honor Society of Phi Kappa Phi. She previously served on the Georgia Criminal Justice Reform Subcommittees for Housing, Behavioral Health, Adult Reentry Services, and the Atlanta Youth Crime and Pre Release Diversion Initiative Steering Committees. She is a proud graduate of the Georgia Law Enforcement College at Columbus State University holding a Master’s Degree in Public Safety Administration. She also holds a Bachelor’s Degree in Psychology from Georgia State University. and huge expectations that his clients win in reaching their goals. senior citizens. In fact, his oldest client is 90 years of age. Jody is also married to Olympic Gold Medalist Gwen Torrence. 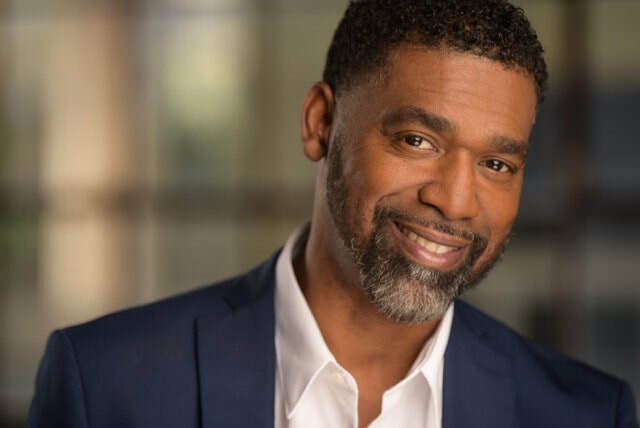 ​A self-described perfectionist; Actor, Writer, Producer, Director and Instructor Dwayne Boyd, believes in delivering the true essence of himself in every aspect of the arts. His ability to engage and affect his audiences through his craft proves the potential of this rising star. Born and raised in Kansas City, Missouri, Boyd recognized his love for acting early in life through high school. After his seven year tenure in the United States Army, he moved to Atlanta, Georgia to pursue his acting career. Boyd’s commitment to the art of entertainment transcends his skills as just an actor. In 2003 he developed Premier Actor's Network, a group of more than 70 aspiring actors on his roster that holds weekly acting classes in Decatur, Georgia. That being an accomplishment within itself, Boyd finds great joy in seeing his diligent work with his students pave the road for their success; which continues to drive him to strive for perfection in the art, live his dream, and fulfill his destiny! ​Courageous, passionate and inspirational, Myra McKenzie Merriweather’s dedication to her craft has been a flame that’s guided a successful career of over 20 years. Myra was born on February 19,1975 in Waukegan, Illinois, and raised in Atlanta, GA with her Jamaican parents. Her mother, Claudette “McKie” McKenzie was an entrepreneur and family matriarch. It would be McKie insisting that her children learn an entrepreneurial spirit and a value on education combined with Myra’s love for performing that would first blossom while attending high school at the North Atlanta School of Performing Arts & International Studies. Myra’s academic pursuits would land her at Georgia State University, where her dedication to acting would lead her to becoming a member of the GSU Film & Television program. She earned her MBA and, after graduation, studied acting with several respected professionals from Atlanta to Los Angeles including: Bobbie Chance (LA), Actor/Professional Actors Network Dwayne Boyd (ATL), Actor/Breakthrough Acting Studio Greg Alan Williams (ATL), JoAnne Baron/DW Brown Studio (LA), Margie Haber (LA), Actor Michael Cole (ATL), Nick Conti (ATL), and Actress Terri J. Vaughn (ATL). Myra also modeled in Spanx ads, Macys bridal shows, many Atlanta local magazines, and on WE TV House of Curves. Her professional career has ranged from professional event management services to national customer care manager for a Fortune 500 homebuilding company. A member of SAG-AFTRA and Delta Sigma Theta Sorority, Incorporated, where she was given the name, ‘Allwayz’. 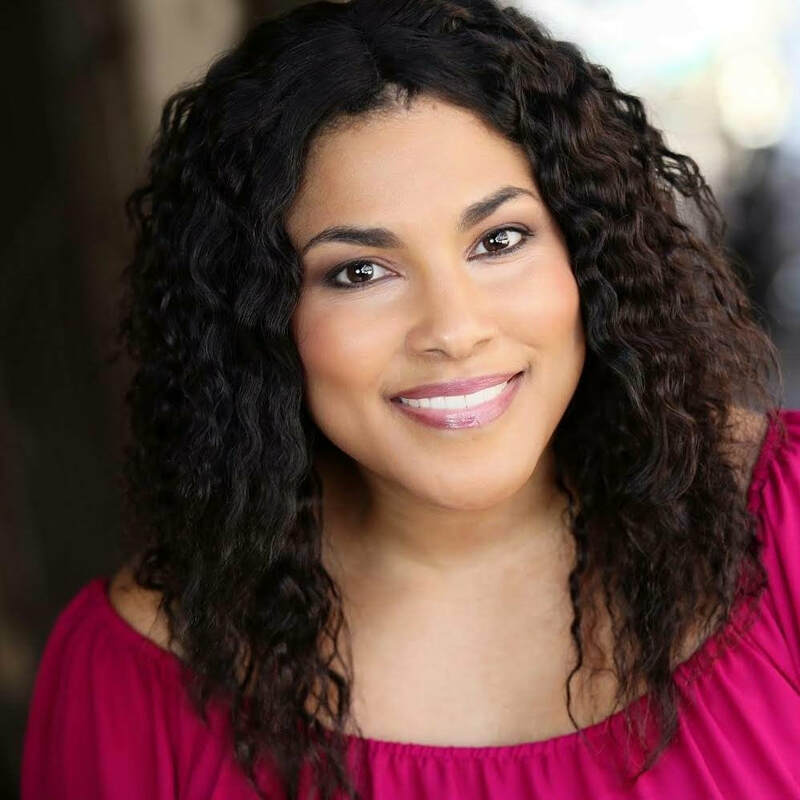 You will always find her working as an actress, associate producer, casting director, content creator, executive producer, event manager, and plus size model while helping others. ​​Patrick Harmon is a retired Veteran who served 34 ½ years in the United States Army. While in the military Patrick held a variety of leadership roles serving as 1st Sergeant, Training Non-Commissioned Officer (NCO), and Mine-Resistant Ambush Protected (MRAP) Specialist. He also worked 15 years for the Coca Cola Company Headquarters in Atlanta, Georgia. Patrick is a Peer Facilitator and Mentor for the Wounded Warrior Project. He volunteers as a way of giving back, being an active force for change, to set the example and make a difference in the community. He is active with programs such as Feeding the Homeless, Habitat for Humanity, Safari Club International, and Camp Twin Lakes just to list a few. In 2018, he was awarded the Atlanta Team Warrior of the year by the Wounded Warrior Project. Patrick is married to Sheila Triplett-Harmon, they have one daughter Brittney. The Harmon’s resides in Stone Mountain, Georgia. ​Charles Mason is an Independent Insurance Broker that loves to talks to people about retirement by sharing personal experience through workshops, lunch and learns, and one-on-one meetings with small businesses, corporations and individuals. Charles is a retired county government administrator, project manager and accountant. He is a Life Member of Kappa Alpha Psi Fraternity, Inc. and 5 time Polemarch of Stone Mountain-Lithonia Alumni Chapter. He is a member of Berean Christian Church and is active in the Men’s Ministry and Usher’s Ministry. Throughout his 30 years in DeKalb County he has been very involved in youth sports, political campaigns and a number of several community organizations. Charles holds a BS in accounting from Johnson C. Smith University, in Charlotte, NC.